There is much to be said for the merits of a bacon and egg roll. It’s the kind of food that can bring you back from the brink. Each one contains four key components; a bread casing that has a worthy mix of fluff, char and chew, a yolk that punctures slightly under pressure, adding a mild gilding of golden fat to meld it all together, proper smoked bacon- and a sauce. The sauce is a source of controversy- some prefer straight tomato- for that ‘I’ve just come straight out of Bronte Beach and I’m eating this in my board shorts after buying my brunch from the surf live saving club’s fund raising sausage sizzle’ feeling. There are others who like the sweet tang of barbecue. But to me- and the real expert in my life (aka The Hungry One) a light chilli kick never goes astray. This is the breakfast that thousands of Australian children have been brought up on. That scores of teenage boys have used to nurse their first hangovers. And the best example, potentially in the world, is available in a not-so -predictable location. 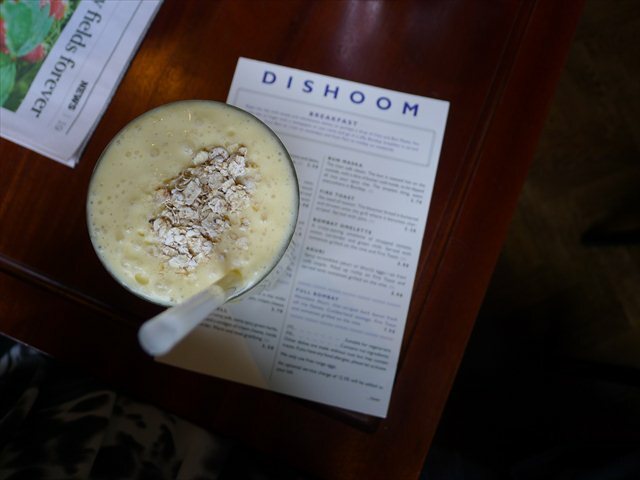 A Bombay style cafe, in London’s Shoreditch and Covent Garden, Dishoom is a novelty spot for a night out. There’s a cheeky sense of humour in the interiors- signs remind you that ‘All Chai is Coming Strictly Without Opium’ and ask you not to comb your hair at the table. At lunch and at night they do a sly line in cocktails and sharing style food- a Bolly Bellini is good cheer in a glass and their chicken ‘Ruby Murray’ (Cockney slang for curry) is always an easy partner to a steaming bowl of house-made naan. 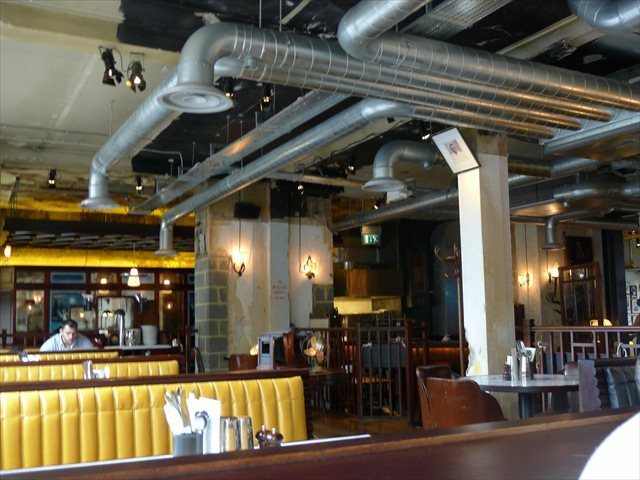 The proximity to the theatres of Soho mean that the Covent Garden location can heave with crowds and noise . Meanwhile the newest outpost in Shoreditch is a sight more civilised. 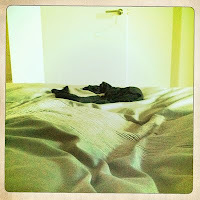 And no time is more so than the morning. It’s a rare soul in East London who will make it out and about before 10 am. Yet for those of us who are knocked up and woken by a stowaway at 4.30 am, breakfast rolls around by 9. Once you find the entrance (not on Shoreditch High Street, but behind, on Boundary Street) you’ll discover an oasis- the Sunday papers are there for you to peruse, the booths are wide, leather cladded and the tables broad enough. There’s the quiet tinkling of Nina Simone in the background. And there’s the promise of tea and terrific things to eat. 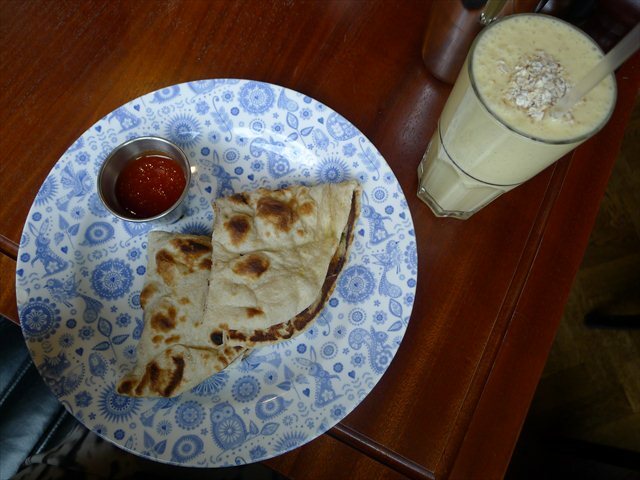 Start with a breakfast lassi; a frothy combination of yoghurt, banana, mango and oats (£3.50). If you’re starving, plough into Full Bombay – it’s the full English, with a Brick Lane lilt. The tomatoes small blistered gems, still on the vine. The bacon and sausages come with hearty griddle marks. 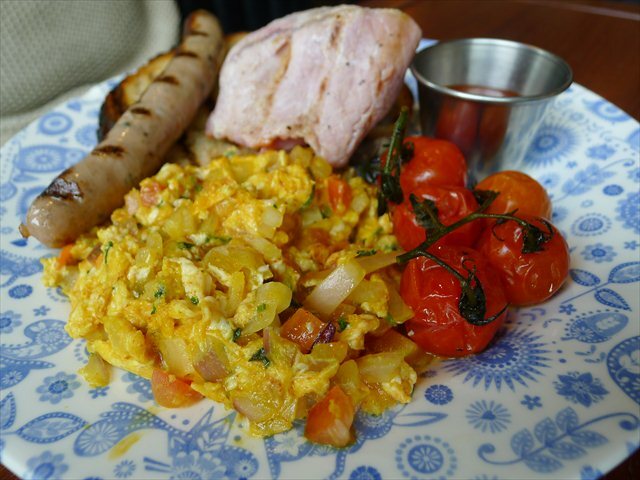 The eggs are scrambled and threaded with softened onions and nuggets of tomato- plus a terrific kick of spice. 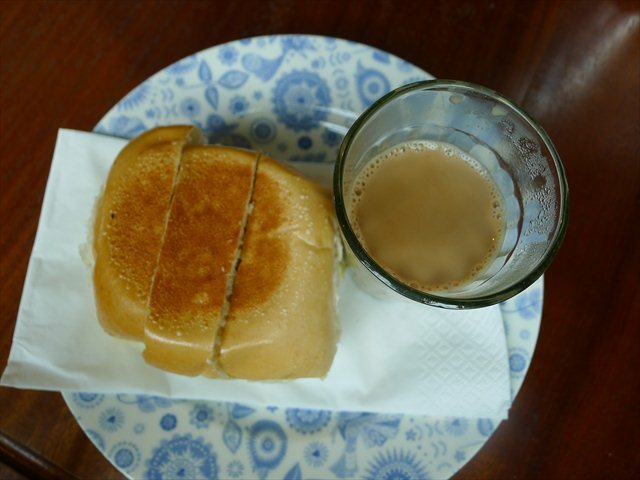 If simplicity is more your style, a bun maska (£2.70) might be more your thing. A small glass of heady chai, and a warm white bun sandwiching a shocking amount of butter is at its best when some of the butter is removed (sacrilege to some I’m sure) and then the fluffy carbs are dunked into the chai. But the real hero is the bacon naan (£3.70). The naan is freshly baked- with a texture that pulls it closer to a pancake than a bread. There are polka dots of char and the inside is both warm and pillow soft. It’s the edible equivalent of retreating under the covers. The bacon has a grand mix of salt, smoke and char- but the real surprises are the small wafting of coriander and slick of cream cheese. The cream cheese helps hold it together and adds a gentle roundness. To the side is a small pot of sweet and spicy tomato relish. But here’s the trick. The menu also includes an egg naan. And for those who want the full dose of glory- you have to go off piste. 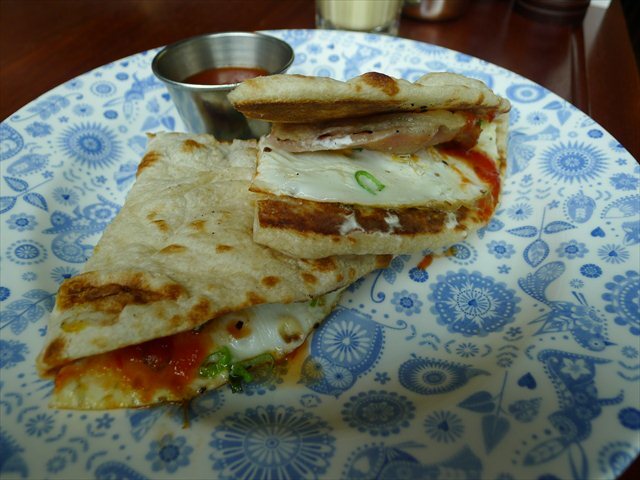 Spend the extra £2 and ask your friendly server for fried eggs inside your bacon naan. The result is, what I’m happy to guess, is possibly the world’s best bacon and egg roll. One will probably not be enough. That’s ok. Order two. And another glass of chai or pot of tea. Open another section of the Sunday papers. 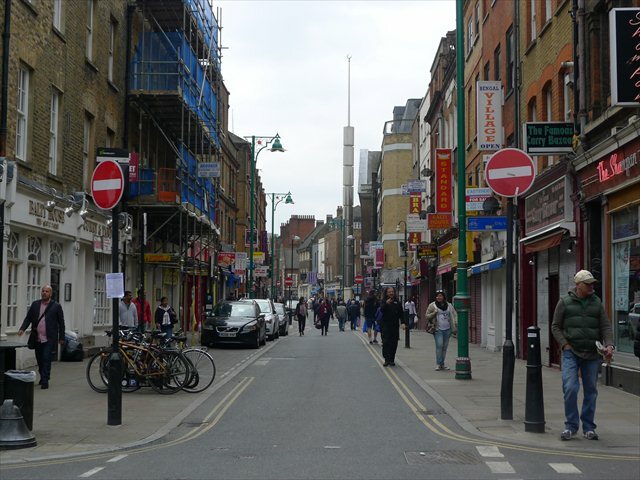 Then go for a walk around to the markets on Brick Lane, or buy some flowers from Columbia Road. 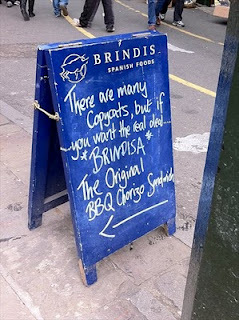 And then feel smug, knowing that you’ve probably had one of the best breakfasts in town. (Nb, if your morning also cries for a great espresso, then luckily for you, Allpress is also just around the corner). 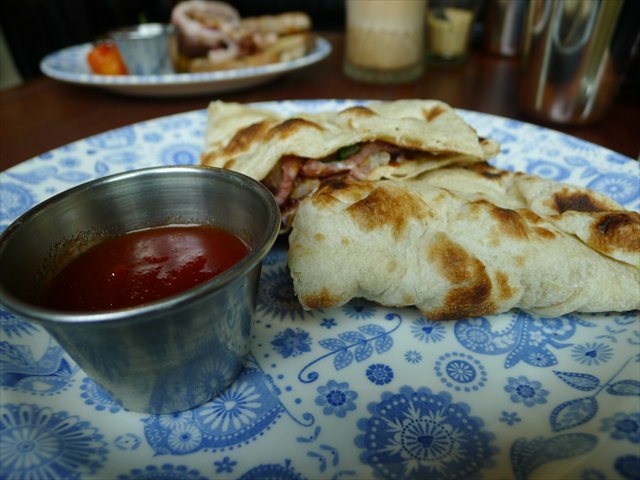 I liked Dishoom a lot more than I was expecting to when I had dinner at their Covent Garden branch earlier this year. Ooh that naan with bacon and egg looks fine. The Dishoom website doesn’t seem to exist though!